Amanda was wonderful during the process of my divorce. Very professional, but efficient and understanding. I’ve recommended her to several friends needing an attorney over the last few years and will continue to do so! Very easy to get an appointment. The staff at Kane and Crowell are very polite. I was informed from the start that my case wasn't going to be easy. Mrs Crowell told me she doesn't take on a case and lose without a fight. She was very knowledgeable. If I ever need to go back to court, I will definitely be calling on her again! Amanda handled a personal legal issue for me earlier this year. I felt at ease from the beginning to be honest and forthcoming in all issues and that she would have my best interest at heart. She accommodated my schedule as best she could. I felt confident in her abilities and her staff that she has chosen. I am hopeful to not be a repeat customer, but it is reassuring for me to know she is there. What I appreciate most about Amanda is her professionalism. She does an excellent job sticking to the facts and delivering your case very clearly, and in the most professional manner. She pays attention to all of the details and her work seamless. Her paralegal, Kayla, is the best! She is compassionate, very responsive, and mirrors Amanda’s professionalism! Living out of state and needing legal assistance in Tennessee was initially overwhelming for us. Amanda went above and beyond to accomodate our travel schedule and to keep us informed of all proceedings. She is very articulate, forthcoming and professional. She is kind and understanding, but she can be authoritative and demanding when she needs to be - exactly what you need and want in an attorney. Amanda Crowell was very helpful during a very difficult time in my life dealing with a divorce from a marriage of over 15 years involving 3 young children and many assets. She was very helpful in helping me understand the court process, how to deal with Judges, and how to maintain my composure throughout the judicial process. Her paralegal, Kayla, was very helpful when dealing with the abundance of documentation that was involved. I am very thankful for the both of them! Amanda represented me four different times from divorce to modification of parenting plan to relocation with my minor child. She is and has always been highly invested in each case—very informative and knowledgeable each time. She strives to win each case, and it shows with her efforts each time. 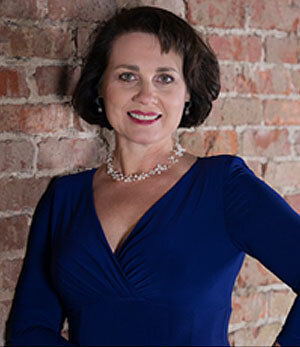 She is a very strong and confident attorney and is also compassionate to the client’s needs and feelings. I would use her anytime again to represent me. Amanda has helped me in more than one way—adoption, separation, reconciliation, divorce--and she finds answers to questions in areas that are not her specialties. She’s compassionate, a hard worker, relentless, and always keeps in touch with updates. She is an amazing attorney and the best choice I could have made. If you need help in any way, contact her. If she can’t fix it, she will point you to the person who can. Ashley was very informative and a life saver in my custody case. She responded quickly to all my questions and kept me informed during all of the proceedings. I would highly recommend Ashley to anyone going through custody or divorce issues. I would highly recommend Ashley and the entire firm for any of your legal needs. I have been a client for several years. Having been represented in both custody and false criminal allegations. The services they provide are top notch and they are very easy to work with. Thanks again to Ashley and her legal team for all you do for your clients. Hands down best attorney around! Angel Kane is fantastic. Very knowledgeable, and extremely good at her job. I wouldn’t have any one else represent me in court. Hands down the best attorney around!